Get on board Nile River cruise in Luxor, Egypt, visiting West Bank; Valley of the Kings, Hatshepsut Temple and Colossi Memnon then sailing to Edfu then to Kom Ombo. Moving to Aswan and it's amazing sightseeing attractions to Abu Simbel temples and then enjoy a Cruise on Lake Nasser. Disembark after breakfast. Then you will be transferred to Aswan airport to fly to Abu Simbel, upon arrival at Abu Simbel airport you will be transferred by a private air-conditioned vehicle to embark your 05 star Lake cruise. Check in Abu-Simbel on board. Lunch on board, then visit Abu Simble Temple. Breakfast will be served while sailing to Kasr Ibrim. Arrive at Kasr Ibrim. Tour conducted from the ship's sun deck as entrance to the site is not permitted. Lunch is served while sailing to Amada. Visit the temples of Amada and Derr as well as the tomb of Penout, A relaxing afternoon sail to Wadi El Seboua. Dinner and overnight aboard the Lake cruise. Check Out in Aswan and disembarkation after breakfast, then Visit the Kalabsha temple, Beit El Wali and the Kiosk of Kertassi. Then transfer from Aswan to Luxor about 03 hours and half driving. Overnight in Luxor. All meet & greet by Egypt Travel REP. at airport & railway stations. All transfers by deluxe air-conditioning vehicle through-out the trip. Flight from Aswan to Abu Simbel one way by EgyptAir. Accommodation of 4 nights on 5Nile River cruise on full board. Accommodation of 3 nights on 5Lake Nasser cruise on full board. Accommodation of 2 nights Luxor hotel with daily breakfast. All sightseeing tours and shore excursions mentioned as per itinerary. 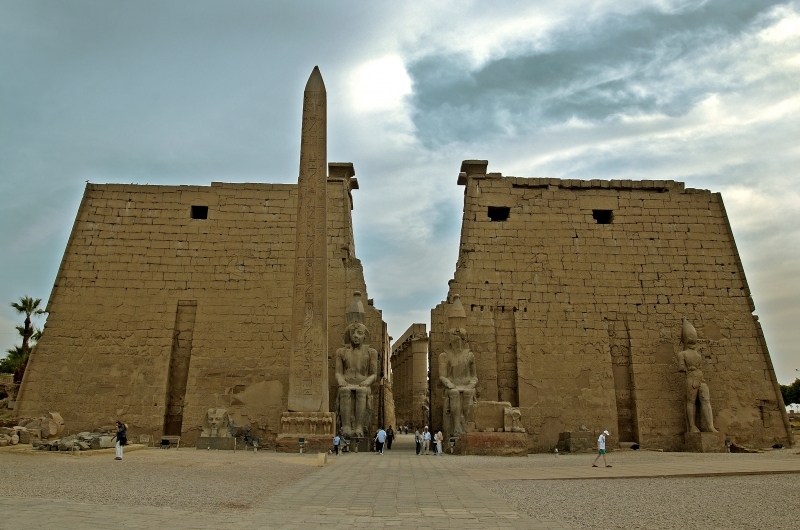 Tour to Valley of the Kings and Queens, Hatshepsut temple & Colossi of Memnon. Tour to Edfu temple as per Nile cruise itinerary. Tour to KomOmbo temple as per Nile River cruise route. Tour to the islands and botanical gardens by felucca sail. Excursions to the Temples of Abu Simbel. Excursions to the temples of Amada and Derr. Excursions to Tomb of Penout. Excursions to Wadi El Seboua& Temples of Dakka&Meharakka. Excursions to the Kalabsha Temple, Beit El Wali, Kiosk of Kertassi. English-speaking Egyptologist guide throughout the trip. Entrance fees to the sights mentioned above. All hotels & Nile cruise service charges and taxes included. Free mineral water and soft drink during the tours and onboard the vehicle. Free Mobile phone charged against 30 min local calls / 2 min. international calls.